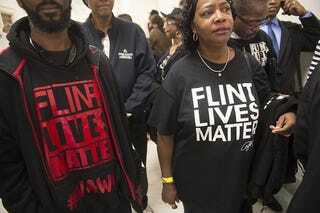 As Flint, Mich., still struggles with the aftermath of the water crisis due to lead-tainted water, more than 1,700 residents and property owners have come forward seeking more than $700 million in damages from the U.S. Environmental Protection Agency for its handling of the crisis, the Associated Press reports. According to the report, the EPA did not respond to an administrative claim filed last year, thus prompting Monday’s lawsuit in U.S. District Court in Michigan. The complaint is seeking $722,400,000 in health and property damages, accusing the EPA of failing “to follow several, specific, agency mandates and directives,” as well as failing to immediately determine if local and state officials were taking the necessary steps to address the crisis.